3 nights hotel accommodation in one room of two full size beds, for up to 4 people. Old San Juan. Departure at 9:00AM, return is at 7:00PM. This trip does not include tour guide. Tourist can walk, or use free trolley transportation for those who prefer to enjoy the ride. For this who would like a tour guide for the excursion a $100 usd will be added for 8 hours of guide service. 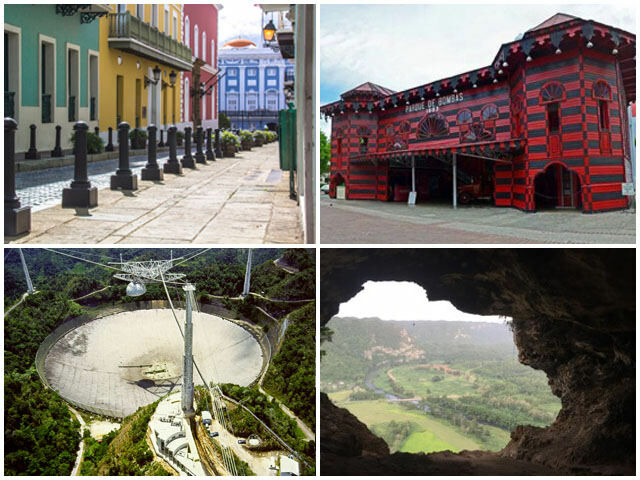 Observatory of Arecibo, Camuy Caverns and Ventana Caves. Includes 8 hours from departure at Dreams Hotel until arrival at Dreams. Transportation provided assures your arrival and will wait for you. 4 nights hotel accommodation in one room with two full size beds for up to 4 persons. Old San Juan. Departure at 9:00AM, return is at 7:00PM. This trip does not include tour guide. Tourists can walk or use free trolley transportation for those who prefer to enjoy the ride. For this who would like a tour guide for the excursion a $100 usd will be added for 8 hours of guide service. 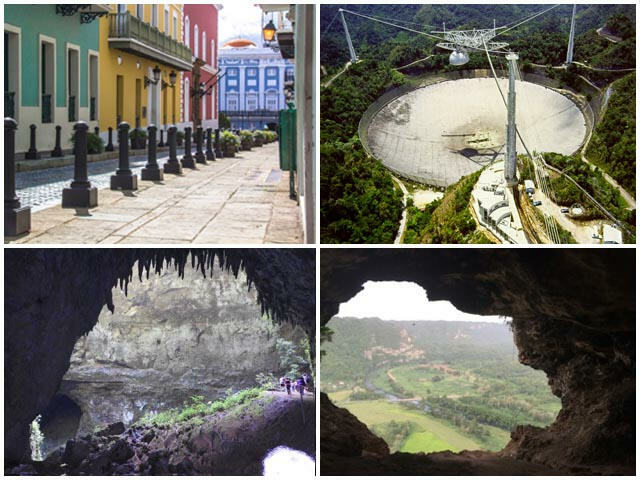 The Observatory of Arecibo, Camuy Caverns and Ventana Caves. 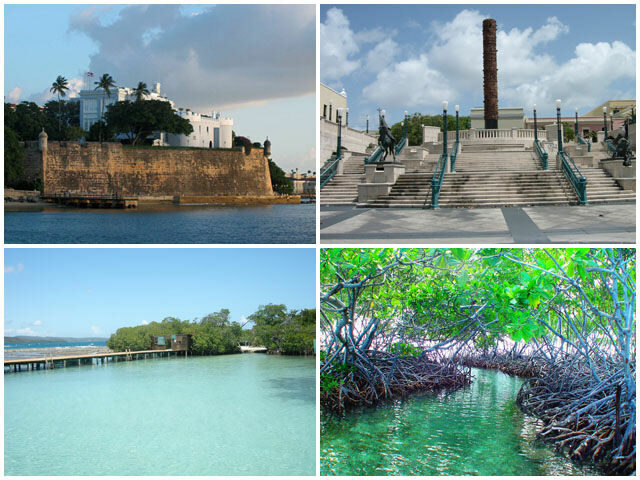 8 hours in Ponce: Visit the heart of Ponce. Total Cost: $600 USD for up to 4 persons in a room of two beds, 3 nights stay. 3 nights stay in a room of two double beds for up to 4 people. Old San Juan. Departure at 9:00AM, return is at 7:00PM. This trip does not include tour guide. Tourist can walk, or use free trolley transportation for those who prefer to enjoy the ride. Ponce (8 hours). 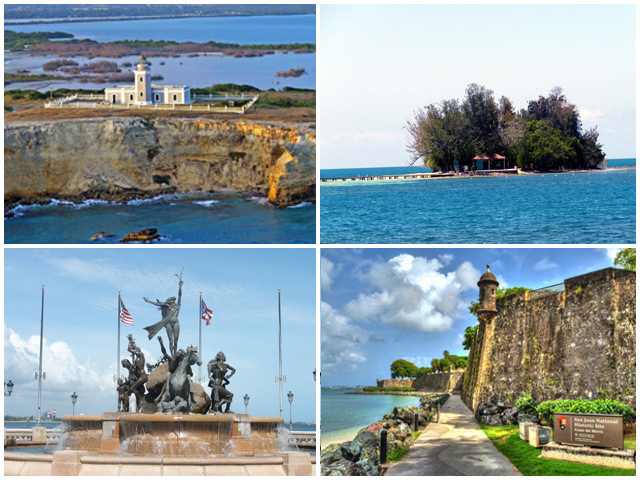 Visit the heart of Ponce. 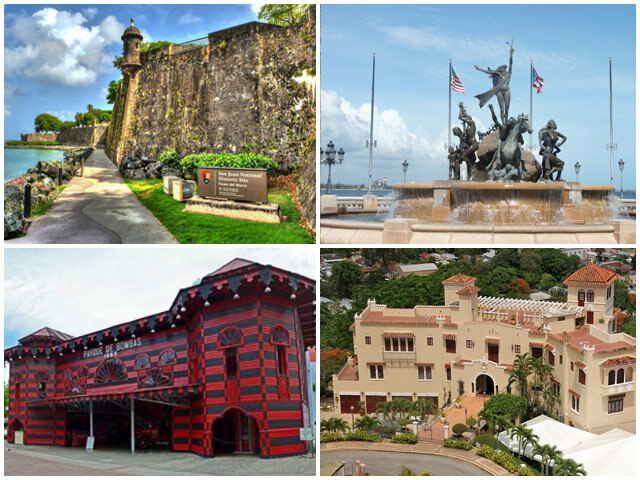 Includes visit to: The Old Fire Station, “La Cruceta del Vigia” and the majestic view, Serralles Castle, Tibes Indian Ceremonial Center or Ponce Museum of Arts. Transport provided to each place and will wait for you. Tour through West Coast on 34 Ft. Long Certified boat ride. Departure: 6AM from San Juan arriving to Cabo Rojo 8:00AM. At 9:00AM Boat Departure to diverse areas such as: Punta Arenas, Joyuda, Puerto Real Bay, Boqueron, Combate, Buye, to Lighthouse of Cabo Rojo. The length of the trip may vary due to wind factor. At around midday you will be transported to Pineapple Island till 4:00PM. There you will enjoy the crystalline waters and white sands. If you choose you can snorkel and we will provide equipment. 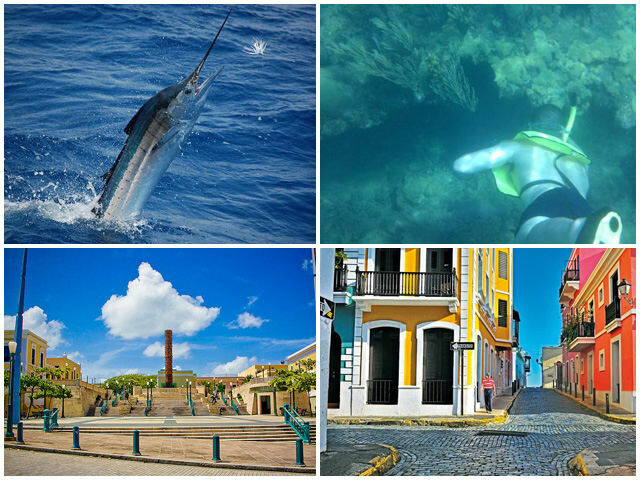 At 4:00PM you will be taken to a seafood restaurant or any food stop you may prefer. After dinner we will return to San Juan. 3 nights stay for 4 or 6 people. For 4 people; a room of two full size beds will be provide. On a 34 Ft. long fishing boat at the PR West Coast. Departure 5:00 AM from San Juan, arriving Cabo Rojo 7:00AM. Enjoy fishing from 7:00AM to 3:00PM. This includes fishing rod, snorkeling equipment. If you decide to modify the pack. May divide, the morning 4 hours fishing and 4 hours snorkeling. 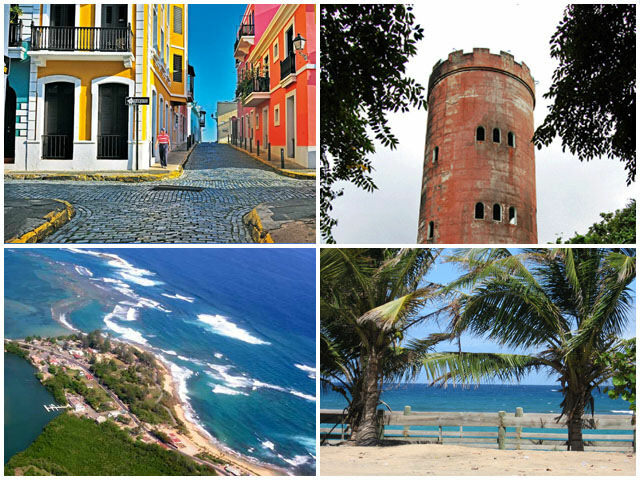 Old San Juan: It takes you to Old San Juan at 9am and is collected at 7PM . No tourist guide is given in this area, is not necessary. Every place has sufficient information so you can do it alone. This gives opportunity to make visits at your convenience and select the preferred places . The hotel gives recommendations. In Old San Juan is a service trolley which is free and very safe. If you want a tour guide for this tour, add $100 for 8 hours guide. Visit the Yunque and enjoy the nature. Enjoy a rich bath in the waterfalls. In the way back we will visit "Piñones", an area where you can enjoy typical food, such as "bacalaitos , alcapurrias , piononos". All the vacation packs should be reserved at least 2 weeks ahead of time. Especially for those who choose boat trip. We have to make arrangement with the owner of the boat. These packages are available from Sunday to Thursday, not on weekends. Most of the time the beaches are congested on weekends and is dangerous to snorkel and fish at that time. These packages do not include the cost of Meals of any kind. These packages do not include: Tickets to Ventana Cave and Cueva del Indio. Which it is $20 per person per cave. Tickets to Arecibo Observatory. Which it is $12 per adult. At the rainforest is given a talk about what you will see, that entry is not included. The cost is $4 per person. These packages include the cost of transportation, including fuels, tolls, boat, fishing rods, and snorkeling equipment. If you want to dive we can make arrangements. The rent of the equipment will be paid by the guests. A release has to be signed before any trip. Excursions to the caves require long walking and the ground is rough and slippery. You need to be in good shape to do this kind of tour. If you have heart problems, asthma, mobility problems or any limiting condition, please do not try this tour.